Superior pigments create beautiful tones in 5 mins or less, and reach deeper depths of tone for up to 20 mins. Remove color without compromise. Dripless white formula makes lifting process easily visible. The first and only lightener that is superior for in foil, on scalp and hair painting techniques. Perfect lightener for Balayage enthusiasts. Non-drying precision while lifting 7 levels without compromise. The only developers you will need. Perfect with our lighteners, toners, color remover, and permanent colors. Color-Safe Shampoo and Color Protecting Conditioner extending the life of all your colors. The best purple shampoo for canceling out unwanted yellow tones and keeping you the perfect blonde all year long. Cleanse, refresh & revitalize anywhere and anytime between shampoos. How do I apply Pulp Riot Color? We suggest doing all of your lightening first and thoroughly cleansing the hair (no conditioner) before applying Pulp Riot color. Lightener can eat away at the color molecules, causing spotting or banding in the end result. 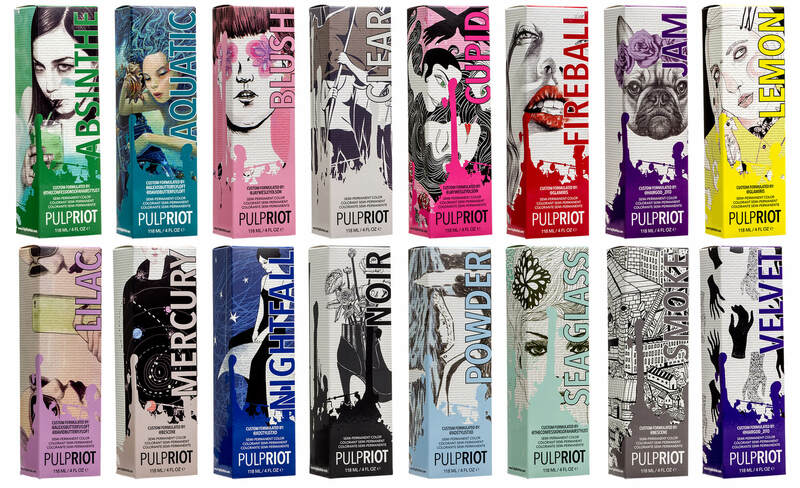 How long does Pulp Riot color Process for? The processing time is 25-40 minutes without heat. We recommend the maximum processing time to give the best color results. After processing, we recommend rinsing with cool water, without shampoo. Conditioning the ends is optional. Proper application is important to increasing the lifespan of the color. 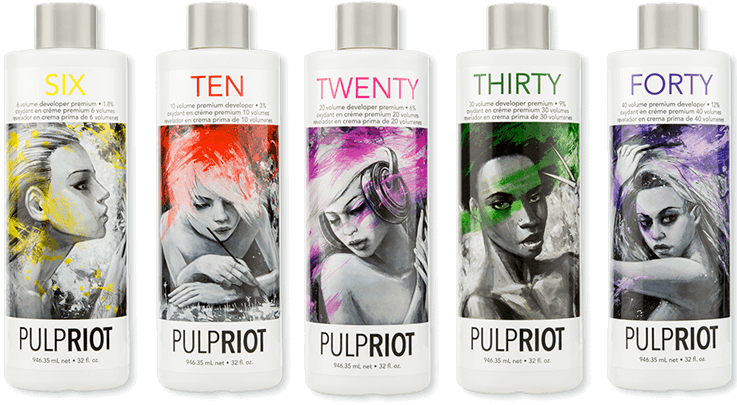 Pulp Riot should be applied to clean, dry hair. We do not recommend conditioning the hair right before applying the color, because some conditioners can act as a barrier, not allowing the color to properly adhere (this is especially true of deep conditioning treatments.) No developer should be used. We recommend taking ½” sections and fully saturating the hair with the color. Full saturation is key. The color should process for 20 to 40 minutes, without heat. After processing, we recommend rinsing with cool water, without shampoo. Conditioning the ends is optional. Will the color stain my skin, sink, floor, clothing, furniture, etc? Care should be used to make sure the color doesn’t get on other items. We recommend using gloves, using protective barrier cream around the hairline, and washing the color out of the hair in a salon shampoo bowl. Is Pulp Riot color tested on animals? No, it's free of ammonia, parabens, PPD and MEA. Please follow the instructions located inside the box to test for allergic reactions. What is the "clear" color? Clear can be used to dilute the colors to make them lighter or pastel. Do you have color swatches, brochures, sample sizes, or foil packs? No. You can see a massive amount of photos of Pulp Riot color used on real human hair on our Instagram page at @pulpriothair. 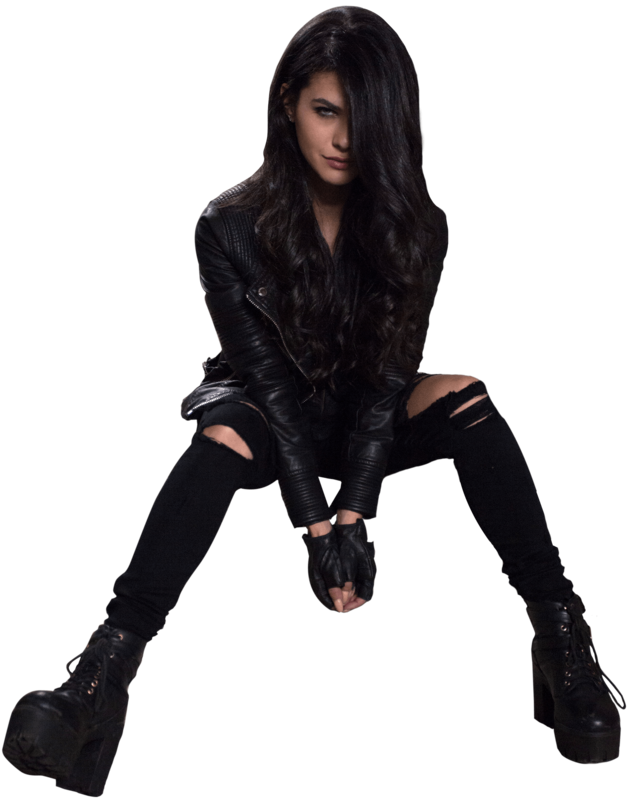 Can Pulp Riot color be used on extensions or wigs? Yes, however, the color results may vary. Mercury is silver. It can be used on it’s own or mixed with other colors to dilute the other colors and give them a slight iridescent/metallic quality. If using on it’s own, the hair should be lifted to a level 9 or 10. Mercury has a violet/blue base. Smoke is charcoal grey. 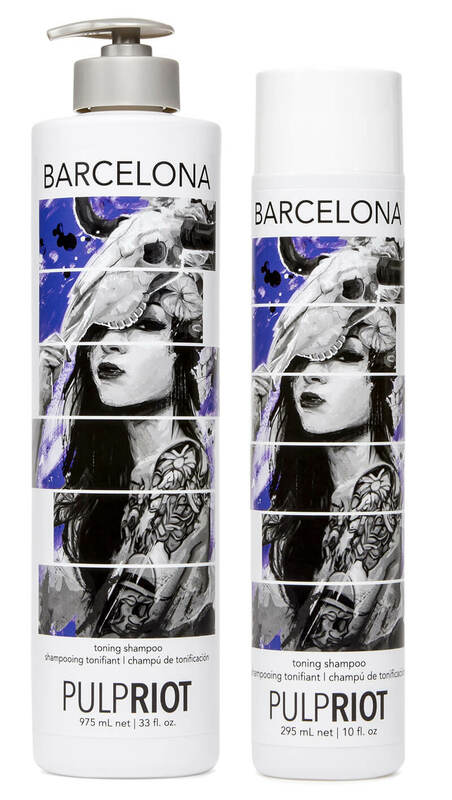 It can be used on it’s own or mixed with other colors to give them more of a deeper, smoky quality. Smoke has a blue base. Smoke is amazing, but there are a couple of things to consider: On certain levels of hair, Smoke has a beautiful dark grey/denim quality, and if the hair has some yellow in it, since Smoke has a blue base, you may see some green. Noir is black. It can be added to other colors to make them darker, but it can easily overpower other colors, so you just want to add a drop or two. It can also be used to create a darker root. Noir has a blue base, so remember this if you mix Noir with other colors. Also, because Noir is so pigmented, when placing Noir next to other colors, care should be taken to rinse the section with Noir on it separately from the other colors to avoid any bleeding. Can Pulp Riot colors be intermixed and does Pulp Riot Bleed? Yes, Pulp Riot colors can all be mixed with each other to created custom colors. Generally Pulp Riot colors don’t bleed like other color lines. You can see on our Instagram feed, hundreds of different photos where one color is placed next to another color without any bleeding. To minimize bleeding, you can hold the lighter pieces out of the shampoo bowl for as long as possible before rinsing after processing. Noir is our most pigmented color; therefore, care should be taken when placing it directly next to a lighter color to minimize the chance of bleeding. Is the lightener clay based? No, it is not clay based. Can I add clay additives to the Pulp Riot Lightener? 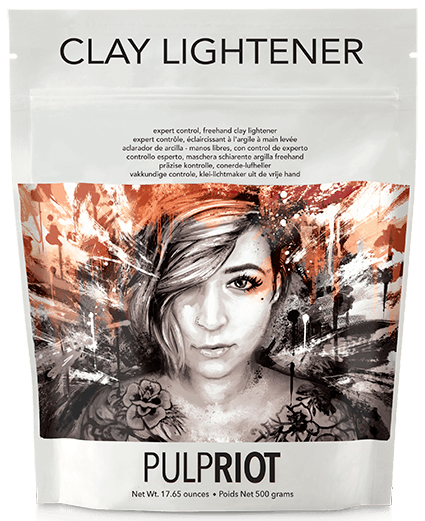 Yes, you can add clay additives to Pulp Riot Lightener. Why is the powder lightener blue? Does it tone the hair? Pulp Riot lightener doesn't have massive toning properties, but it does help during the lifting process by cutting down the yellow without tricking your eye. For example, some blue powder lighteners will trick you into thinking the hair has lifted past a certain point, but when you wash it off, it reveals something else. With Pulp Riot lightener, you won't get that. What you see, is what you get. Will the lightener swell in foils or when left in the color bowl? 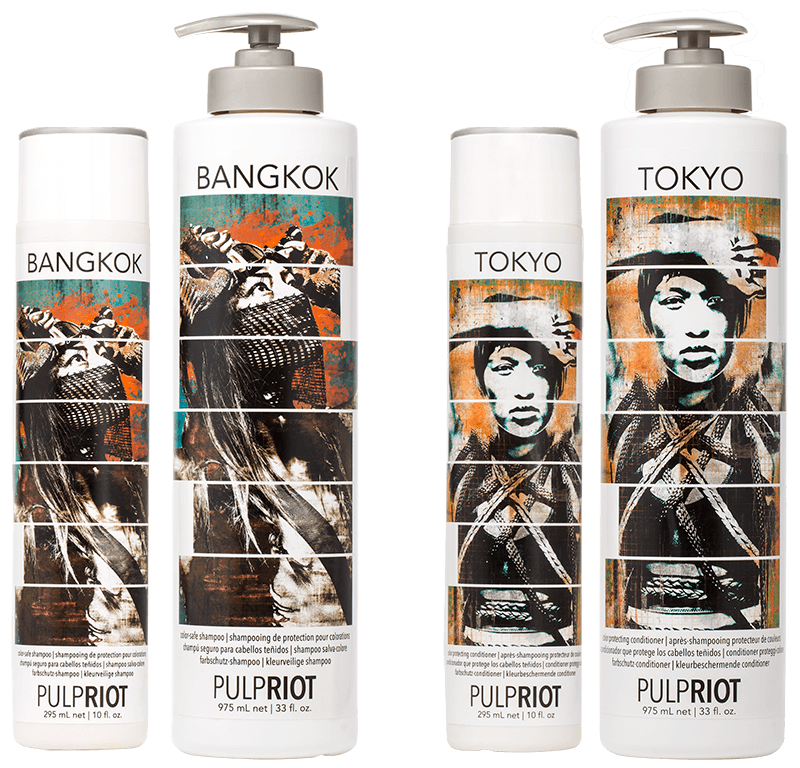 Pulp Riot lightener and developer is designed to stay true to the mixed consistency and does not expand in foil or in the bowl. On scalp, with the heat from the head, it will swell/expand slightly. Can the lightener be used with bond builders? 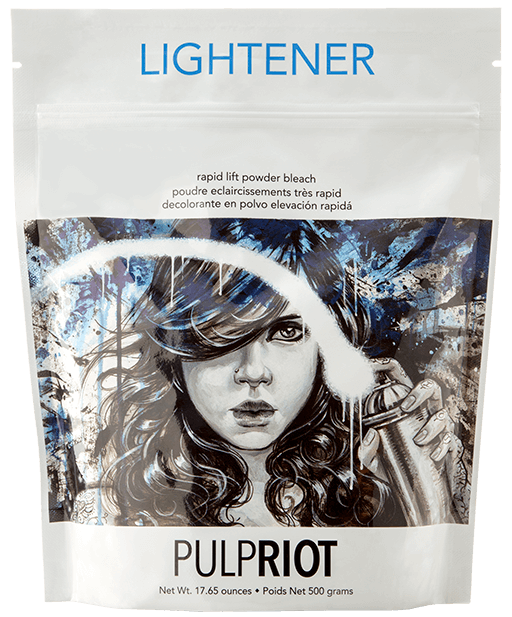 Pulp Riot lightener is formulated with quinoa, which has mild bonding properties to help maintain the integrity of the hair during the lightening process. You can also add your favorite bond builder to the lightener. Please note, this can change the speed at which the lightener will process. 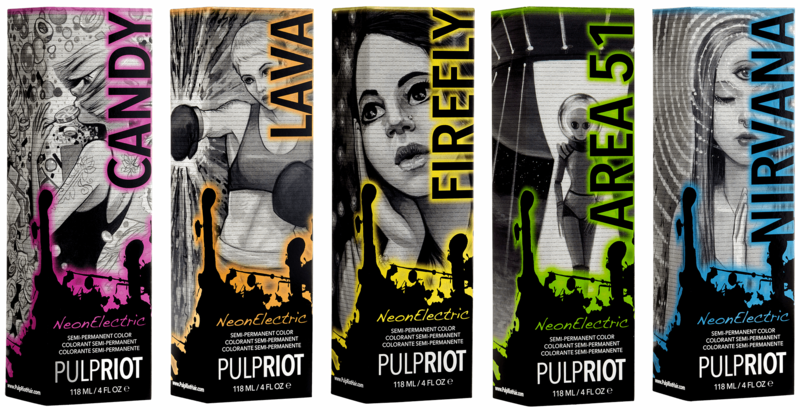 Do I have to use the Pulp Riot developers with the Pulp Riot lightener? Can I use the Pulp Riot developers with other lighteners? Can I apply Pulp Riot lightener at the same time as my Pulp Riot color? We suggest doing all of your lightening first and thoroughly cleansing and rinsing the hair (no conditioner) before applying Pulp Riot color. Lightener can eat away at the color molecules for semi-permanent colors, causing uneven color results. Why does Pulp Riot lightener have ammonia? Anything that opens the cuticle or is alkaline has to have ammonia or a derivative/alternative for it to work. Products that are “ammonia-free” (bleach, permanent color, etc.) use a derivative/alternative such as MEA or DEA. These derivatives are inferior to ammonia because they have a higher probability of causing skin irritations, allergies, or leaving residue in the hair, leading to other issues. Benefits of using ammonia rather than other alternatives: it doesn’t cause as many skin irritations or allergies, and the amount needed to open the cuticle is substantially less than the alternatives. The benefit of ammonia having a strong fragrance is that you know with certainty when it's washed away completely from the hair. With the alternatives, you can't be certain it's fully washed away from the hair. What's the best way to use 6 volume developer?